“My boys (now ages 4 and 6) attended CGI for the past two summers. 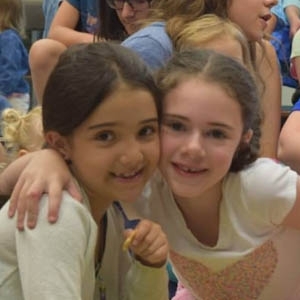 They both loved it—making Challah, celebrating Shabbas, swimming, arts and crafts...but the best part was probably the counselors and staff. Everyone was so friendly, loving, and nurturing. My boys learned, grew, matured, and had a great time. What more could you want from a summer camp?" "Not only is CGI a fun experience for kids, it also provides an enriching educational and Jewish experience. My kids love it and I know they safe, happy, nurtured, loved and getting what they need to be good people." "How wonderful it is to see your child smile all day long. It is such a warm and nurturing environment with so many new and exciting activities"